Home Business Commentary Now What? Election season is over. There were record amounts of votes cast during the 2018 midterm on November 6th. People from all backgrounds called for change. In spite of attempts to suppress the minority vote all over this country, voting was up during the early voting period and on election day. Our country is so divided, many of the contests have not been certified. Although many of the results may not have gone as we hoped, I am willing to say, we still have a voice and still vote everyday whether you realize it or not. Now what? How can we continue to have our voices heard? It is that time of the year where we get to flex our economic muscles. African Americans make up about $1.2 trillion in purchasing power in the US. Collectively, we account for the equivalent to the 15th largest economy in the world by the GDP. That is power people! But we are always giving that power away and supporting companies that do not support us or our community. 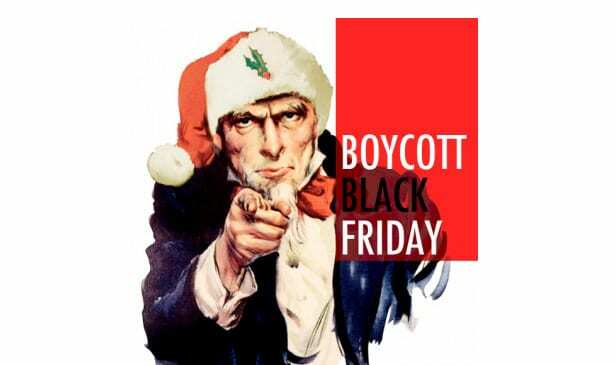 For the past 3 years, I have supported and encouraged a boycott on “Black Friday”. This movement has had a powerful effect as we attempt to block large retailers on one of the biggest shopping days from making huge profits. It is a great time to take a stand in the fight for economic freedom, environmental justice and equal human rights. Dr, King said in his final speech that we must redistribute the pain by only choosing to do business with companies that have been fair in their hiring policies and supporting the needs and rights of the people that support them. Remember to throw your financial support behind our local businesses and newspapers like this one. Our reckless and wasteful spending habits have silenced our displeasure for far too long. BlackFriday is the time many stores make money off us as we buy Christmas gifts for others. Be mindful of how and where you spend your money. If a business does not respect the planet or all people, then we will withdraw our support. Let us start by not spending money we don’t have and support our local businesses. Now is the time for action. Boycott BlackFriday November 23rd. Please feel free to contact me thomsustainableconsulting@gmail.com or you can follow me on Twitter @tcsheff.